The Dynaback Back Support is a universal-sized back support. The back panel is made of durable elastic with polypropylene stays for added support. Its shoulder straps are adjustable or removable for flexibility and comfort. We are a sheet metal fabrication shop and our shop employees have to do lifting. 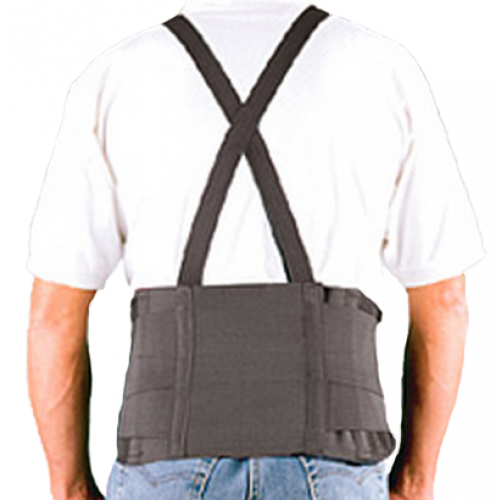 We have provided the back support harnesses to all of the shop employees to aid in reducing/preventing back strain problems. These fit well, provide excellent support, and are basically a one size fits all item.